ARE YOU READY TO PRESENT BORN FOR THIS? This easy to use ONLINE VIDEO COURSE will give you step-by-step, scene-by-scene guidance to put on your own presentation of this powerful depiction of the Stations of the Cross. 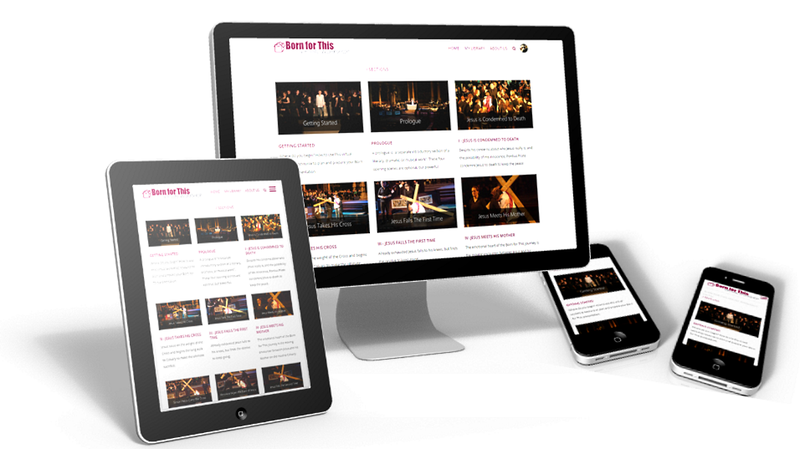 The most cost-effective and time-saving way to get step-by-step, scene-by-scene guidance to help you put together your own presention of Born for This - The Way of the Cross. A live Born for This Workshop led by one of our team would costs at least £500 per day + travel expenses. Our Online workshop is available at a terrific introductory price.